Michael F. Kanzer & Associates specializes in the area of bankruptcy law. Our practice wants to enlighten you of some of the exciting changes in the laws that benefit those considering filing Chapter 7 Bankruptcy. In 2011, The New York Legislature increased the homestead exemption from $50,000 to $150,000 for those debtors in New York City’s 5 Boroughs, Nassau, Suffolk, Westchester, Putnam and Rockland Counties. The exemption is doubled to $300,000 for joint homeowners who filed a joint Chapter 7 Bankruptcy. This is the most significant piece of litigation since our firm has been practicing (24 years) for middle class income debtors with equity in their homes. As an illustration, a married couple with a house worth $600,000 with a mortgage of $300,000 and credit card debt of $100,000 will be able to file a bankruptcy and discharge their unsecured credit card debt (as long as their income qualifies them to file a Chapter 7 Bankruptcy). This will enable many struggling middle class clients to be able to file a Chapter 7 Bankruptcy who previously could not qualify because too much equity in their residence. The new laws also allow to choose between Federal and State exemptions. 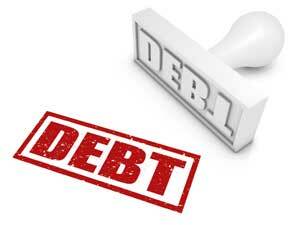 If a debtor has no real property, usually it would be advantageous to file using the Federal exemptions. Under the Federal Exemption Law, a debtor can use a Wildcard exemption up to $11,975 to retain cash or a car, or other personal items. Our practice has been able to file Chapter 7 Bankruptcy petitions and receive a discharge of their debts for many relieved people who would not have qualified under the old laws.